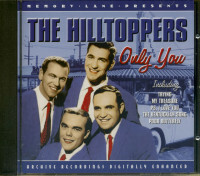 The Hilltoppers met and formed their quartet while students at Western Kentucky State College (now Western Kentucky University). Throughout their career, they performed as 'college guys,' often wearing beanies and sweaters emblazoned with the letter W (for 'Western'). They had lots of hit records, almost all ballads featuring the plaintive tenor voice of Jimmy Sacca, with six Top 10 hits in the years 1952 – 54. 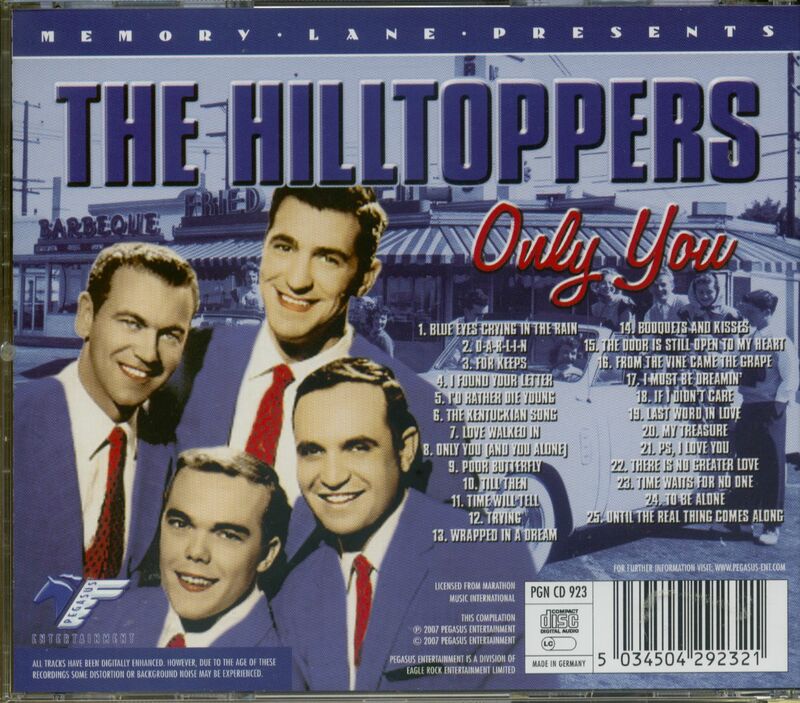 Rock 'n' roll was not the Hilltoppers' natural environment, but that's where the world was going. 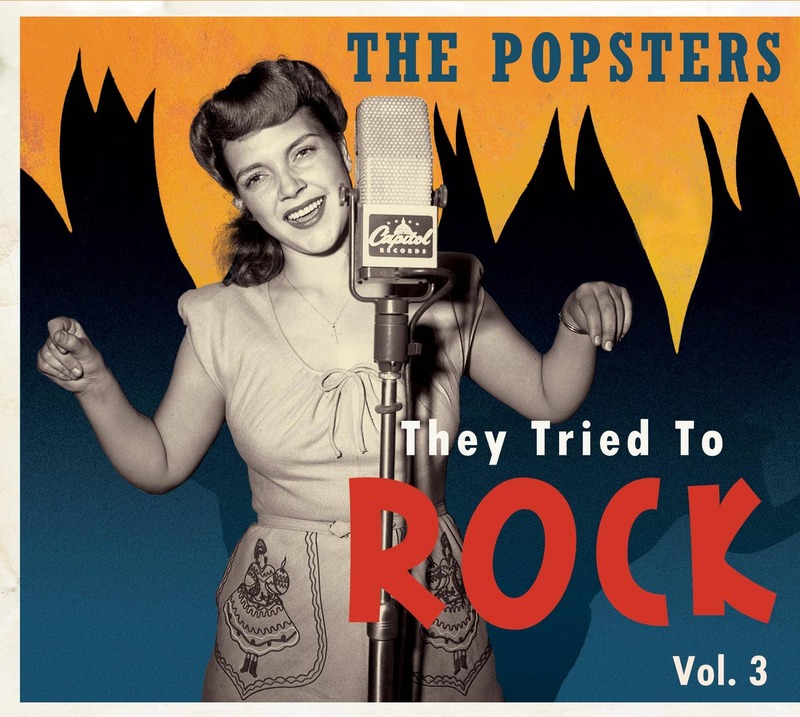 On Do The Bop they sing a song written by Billy Vaughn, backed up by an orchestra directed by Billy Vaughn. Vaughn had been a member of the Hilltoppers when they formed, but once they got to Dot Records Vaughn gave up singing to become a music director and orchestra leader. Rock 'n' roll was not Vaughn's natural environment either. In 1955 he had a #1 hit under his own name with the syrupy Melody Of Love; that same year he did the orchestration for Pat Boone's Ain't That A Shame which, when compared to Fats Domino's original, helped give cover records a bad name. 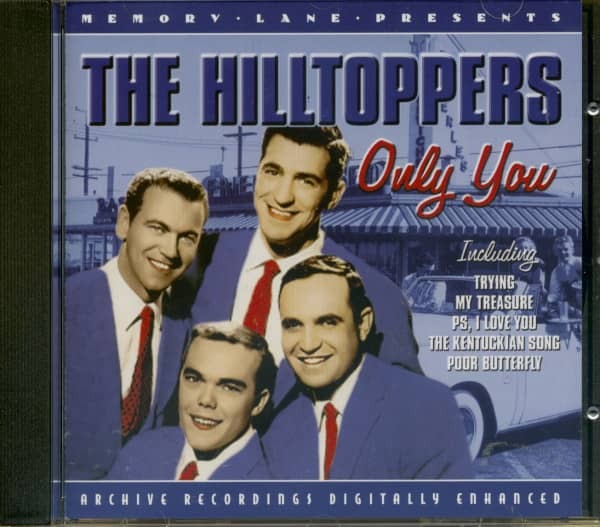 Billy Vaughn was already an accomplished songwriter, having written the Hilltoppers' 1952 Top 10 hit, Trying (though not trying to rock) and here he was writing a rock 'n' roll song. At least the song's title, Do The Bop, was promising. The song lyric's narrative is appropriate (featuring a teenage hep kitten in blue jeans who loves to dance), but what is that "oo blee ah ah ah" stuff at the end of the verse? More interesting is the song's 'tune' since there virtually is none despite Vaughn's having written the aptly titled Melody Of Love. Early critics of rock 'n' roll often described it as "tuneless." Was Vaughn purposely adopting that approach here? Vaughn's arrangement of the record puts a vocal chorus backup behind a saxophone solo as he had on Ain't That A Shame. It works less well here, as does almost everything else. Toward the end, the guitar player makes some attempts to turn this into a real rock 'n' roll record but it's too late and he's alone. 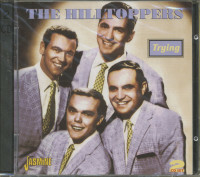 Sadly, Jimmy Sacca died on March 7 2015 at age 85, just as They Tried To Rock was going to press. Customer evaluation for "Only You (CD)"